Congratulations to Ms. Rita Brown, Sixth Grade Teacher, AES 2018-2019 Teacher of the Year, as well as, the Henry County Board of Education Elementary Teacher of the Year!!! An Abbeville Native, Ms. Brown, is the daughter of Clarence and Johnnie Brown and the proud mother of Jeremiah Brown. Ms. Brown grew up in Henry County and graduated from Abbeville High School in 2003. She continued her education after High School and went on to graduate with her Bachelor of Science Degree in Elementary Education from Troy University in Dothan, Alabama in 2008 and her Master of Science Degree in Elementary Education from Troy University in Montgomery, Alabama in 2014. 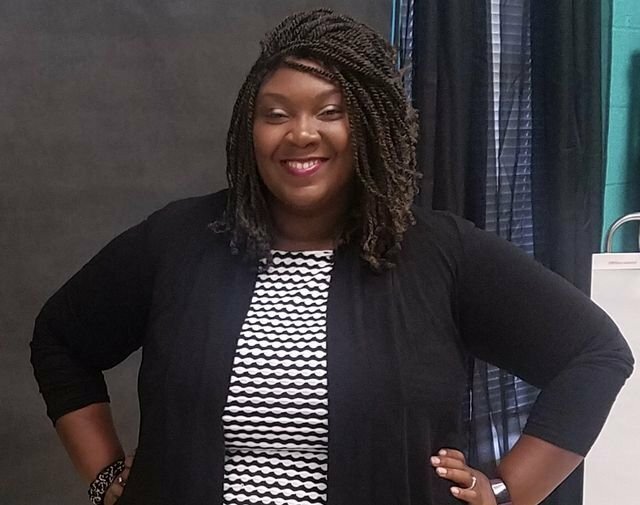 She started her teaching career in Montgomery, Alabama in 2008 at Thelma Smiley Morris Elementary School where she taught first graders for 8 years. She then decided to expand her ability to help more students by becoming an ARI Reading Specialist at Thelma Smiley Morris Elementary, as well as, Carver Elementary and Arts Magnet Schools for two years. After much prayer, she decided to move back home so that she could help students in the area that she was raised in. Ms. Brown is currently teaching sixth grade Reading at Abbeville Elementary School and a member of the Rocky Mount Baptist Church in Abbeville, Alabama.